The Junior Suites offer a comfortable space for groups and families of four people to stay together. 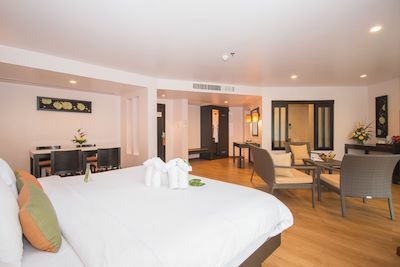 The 55 sqm suite has a king-sized bed (with an option for two extra beds) and a living area with stylish furniture and classic Thai soft furnishings and artwork. 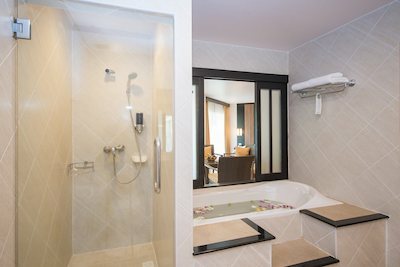 The suite has a large bathroom with bathtub and separate shower with a delightful range of complimentary beauty products. 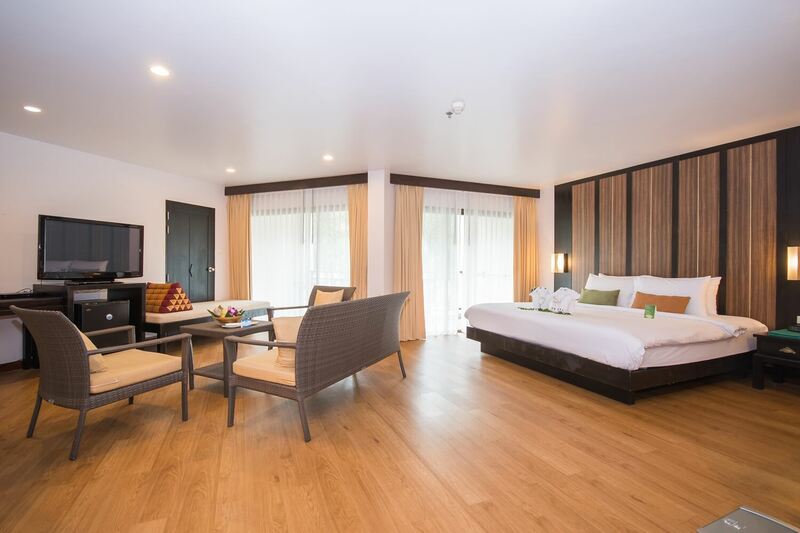 The private balcony has a pleasant seating area to enjoy the views of the swimming pool.